Potential failure mechanism of a landfill (blue layer) built in between two existing landfills. The model was created with Plaxis 3D. 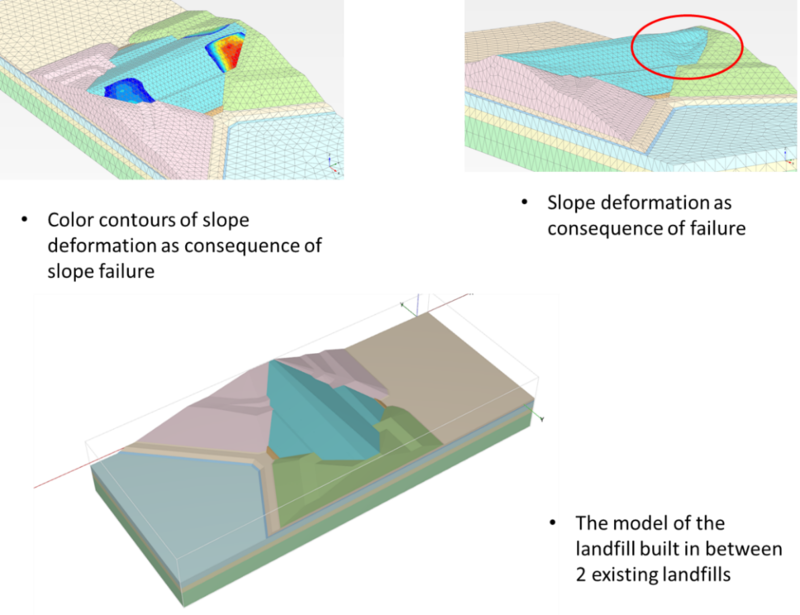 Due to the presence of a weak geo-synthetic interface between the new landfill and the slope of the existing ones, a potential failure mechanism develops as materials flow through the sliding interface. This failure modes could not be seen in a 2D analysis due to its “3D morphology”.